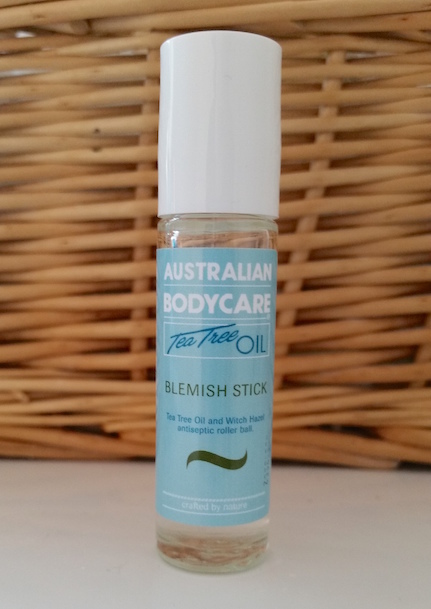 The Australian Bodycare Tea Tree Oil Blemish Stick is an easy to use, non-greasy, antiseptic Tea Tree Oil and Witch Hazel formula gel that aims to quickly reduce the appearance and redness of spots. It fights the blemish causing bacteria and instantly cools and calms the area to reduce irritation. It comes in a small, glass stick that holds 10ml of product with a handy rollerball tip for precise application directly onto the spot. Alongside treating spots, the Blemish Stick can be used to treat insect bites or other minor skin irritations. Application of this product could not be easier. Simply unscrew the cap and use the rollerball to apply a small amount to the area that needs it. Re-apply roughly 3-4 times throughout the day. 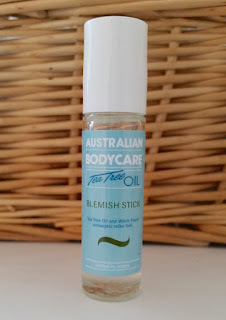 I love how easy the Australian Bodycare Tea Tree Oil Blemish Stick is to use. It's so fast and convenient that you can be off in no time! It does take a short while to dry, but once it does it is invisible and makeup can be applied over the top. I find that this works best on upcoming spots, reducing them quickly before they properly make an appearance. It also does a great job with blackheads which I find can disappear in a couple of days with this. Importantly, there is no drying out of the skin after use, so there are no peeling patches of skin as spots begin to fade. I don't find that it does as good a job with red marks as it does with the spot itself, but this isn't the end of the world as a lot of other products can step in at that point (I like the Dr. Paw Paw Original Balm, KWENA Crocodile Oil Balm or La Roche-Posay Redermic R). The only real inconvenience is that the box states that it needs applying multiple times throughout the day, and if you wear makeup then this can be a bit of an issue. However, in my experience, I find that it works just as well being applied once or twice a day. 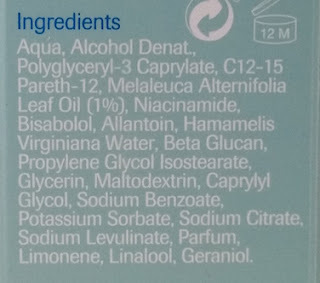 I haven't yet tried it out on bites or any other skin irritations as I haven't had any to test it out on, but I am overall impressed with it's blemish fighting capabilities. The Blemish Stick is simple, lightweight, doesn't dry out the skin and it works and when it comes to a spot fighting gel there isn't much more that you can ask for! If you have problems with spots and you've tried dozens of products that aren't working for you, this one is well worth a try! You can purchase the Australian Bodycare Tea Tree Oil Blemish Stick for £5.10/10ml from Feel Unique. 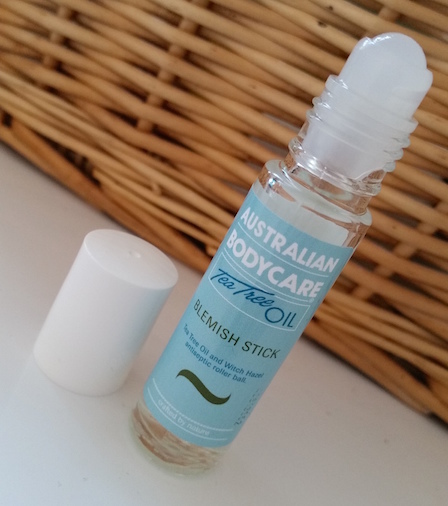 What are your thoughts on the Australian Bodycare Tea Tree Oil Blemish Stick? What are your favourite spot fighting products?